Tank Connection is the industry leader in dry bulk storage​ tanks. Tank Connection is the only storage tank supplier worldwide that offers all four major types of steel storage tanks. 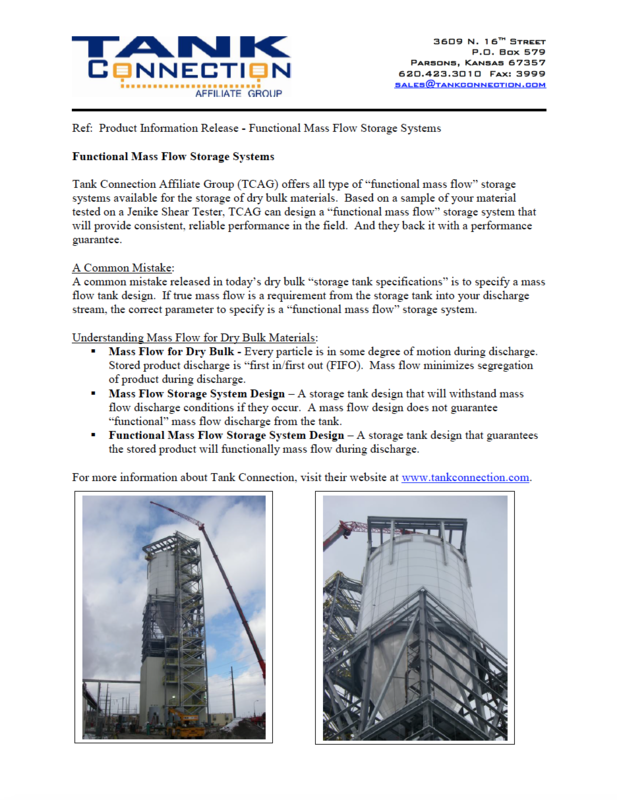 Tank Connection offers bolted RTP (rolled, tapered panel) storage tanks, field-welded storage tanks, shop-weld storage tanks, and hybrid storage tank construction. 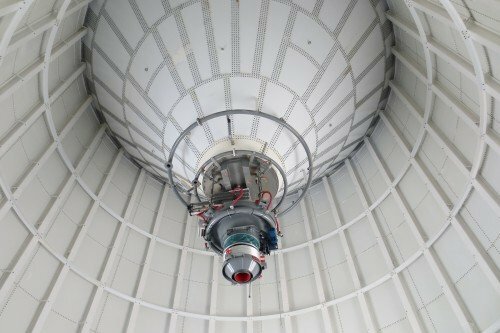 For a complete integrated storage tank system including all auxiliary equipment, Tank Connection project management services are the best in the industry. Not only are we recognized as the experts in dry bulk storage applications, but we specialize in all types of material flow discharge systems including functional mass flow, funnel flow, expanded flow, active/vibratory discharge and numerous configurations of fluidized hopper designs. In dry bulk storage tank applications, we can minimize and eliminate the problems of yesterday by prescribing the right storage tank system to interface with an existing or new material handling system. We provide total turnkey responsibility supplied by one company, Tank Connection! With cement storage tank systems, we can provide you with the most cost efficient approach for a complete storage and truck load out facility. In coal storage, we provide functional mass flow or expanded flow discharge systems to prevent material bridging inside the silo and provide reliable material flow. 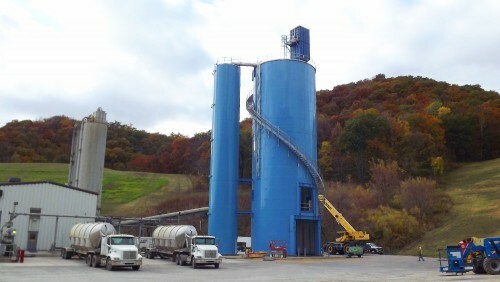 In sand storage, we provide complete rail unload, storage and truck load-out facilities. 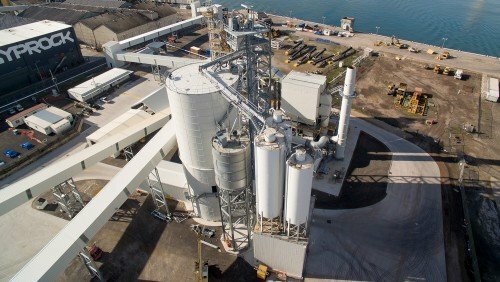 In lime storage, we lead the industry in turnkey storage systems for limestone, lime, hydrated lime, pebble lime and quicklime applications. 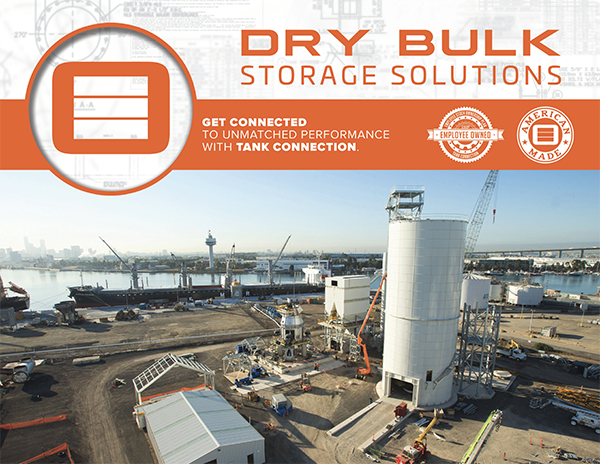 The list continues – just know that Tank Connection wishes to partner with you to provide the best dry bulk storage tank or system to meet the needs of your project.